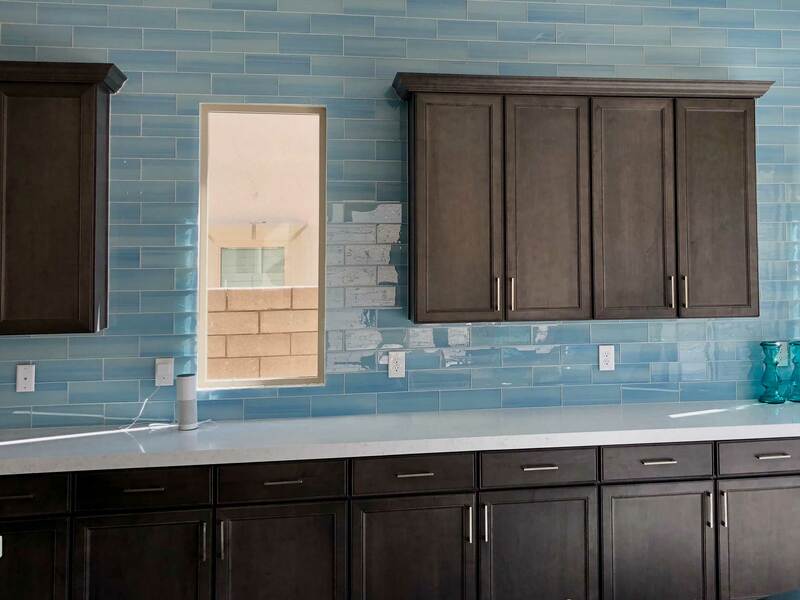 This kitchen features our hand painted tile, giving it a unique and personalized look. Each batch of tile is hand painted and made to order, ensuring that no other customer will ever have the exact same tile as you. 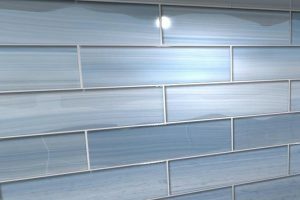 Each tile has subtle brush stroke variations, creating a glass tile that is never boring.